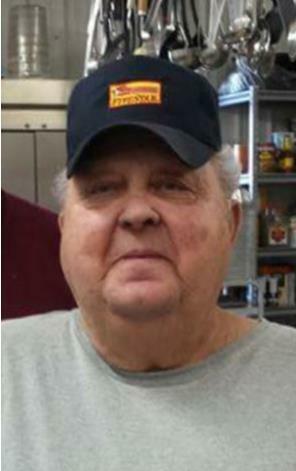 Randall Franklin “Buddy” Curtsinger, age 75, of Buddy Hollow Lane, Willisburg, passed away at 3:10 a.m., Saturday, April 13, 2019 at his home after an illness. A native of Washington County, he was born on December 14, 1943 to the late John Taylor and Lola Milburn Curtsinger. He was a member of the Free Pentecostal Church and a farmer. Preceding him in death was his wife, Rita Riley Curtsinger on March 28, 2018; a great granddaughter, Haley Nichole Speer on December 26, 2003; four sisters, Orine Jewell on March 22, 1974, Janie Hilbert on January 8, 1981, Christine Chesser on September 22, 1978 and Elizabeth Thompson on October 25, 2018 and four brothers, Truman Curtsinger on March 19, 1933, Earl Marshall “Pete” Curtsinger on April 14, 1996, Willie Junior “Bill” Curtsinger on January 18, 2001 and Clemetle “Make” Curtsinger on August 11, 2006. Survivors include two daughters, Djuna Hill of Springfield and Toni Chesser of Willisburg; four sons, Randy Curtsinger (Lorrie) of Willisburg, Gene Curtsinger (Sandy) of Radcliff, Johnnie Curtsinger (Vickie) of Harrodsburg and Keith Curtsinger (Angie) of Willisburg; fourteen grandchildren and twenty great grandchildren. Funeral services will be held at 1:00 p.m., Wednesday, April 17th at the Anchor Of Hope Church with Rev. Ricky Cheatham, the church pastor, officiating. He will be assisted by Rev. Tina Standiford. Burial will be in the Lonesome Dove Cemetery at Willisburg. Serving as honorary pallbearers will be Randy Curtsinger, Jr., Tyler Chesser, Lane Curtsinger, Trevor Chesser, Gene Curtsinger, Richie Speer, Elias Villa, Austin Taylor, Dustin Auberry, Jose Coltlame, Lacy Speer, Amber Alacantara, Alexis Alacantara, Marsha Benacord, Elliott Benacord, Kaylin Coltlame, Jasmine Taylor, Chelsea Curtsinger, Brittany Auberry, Whitney Curtsinger, Hannah Dones and Samantha Dykes. Serving as casket bearers will be Randy Curtsinger, Ricky Curtsinger, Earl Curtsinger, Bobby Cox, Rodney Chesser, Philip Riley and Joey Chesser. Visitation will be from 4-8 Tuesday at the Anchor Of Hope Church.